IN the autumn of 1943, Adolf Hitler, frustrated by the inability of the Luftwaffe to retaliate for the heavy and sustained bombing of German cities, nominated Generalmajor Dietrich Peltz to the rank of Angriffsfuhrer England. In this capacity he was to reorganise and train the bomber force in the west, and then carry out a renewed offensive against Britain. of his crews were inexperienced and inadequately trained. The offensive was due to open towards the end of 1943. Greater London where 32 tons of bombs reportedly fell. 188s and 25 Me 410s of KG 2. 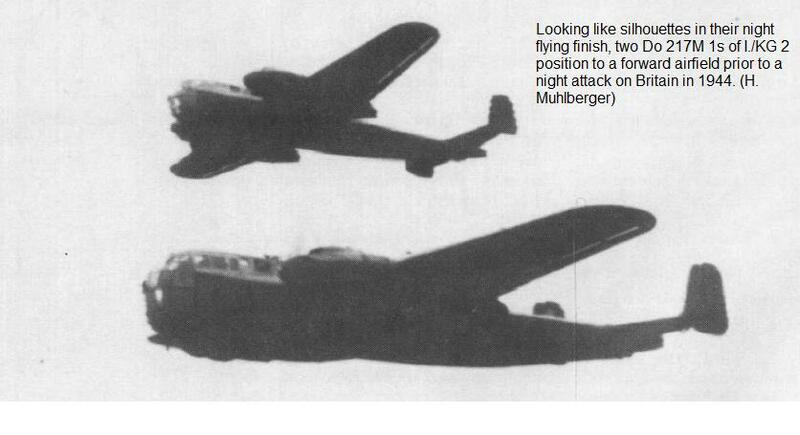 120 Ju 88s of KG 6. 31 Ju 88s of KG 30. 15 He 177s of KG 40. 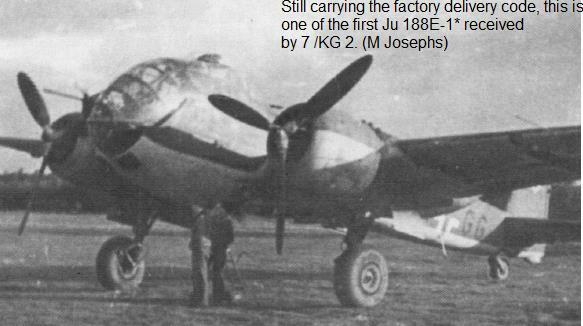 61 Ju 88s of KG 54. 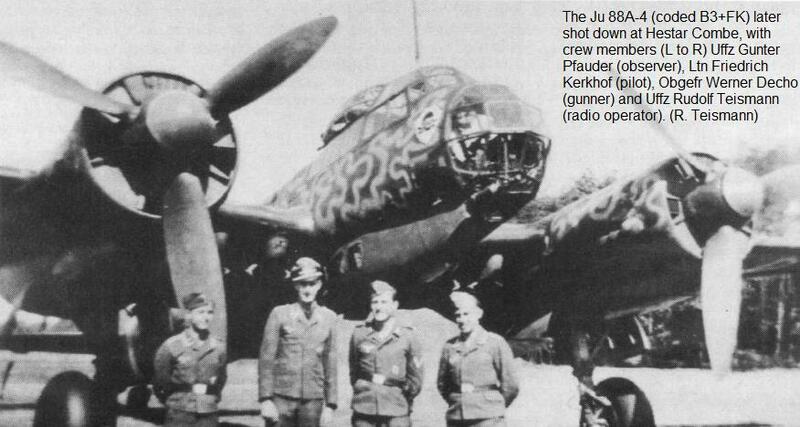 23 Do 217s of KG 66. four Ju 88s of KG 76. 27 He 177s of KG 100.
bombers at night and the Americans about the same number or more by day. 1942 and. mainly for home consumption as a morale booster. German propaganda made much of it. In reality, however, little damage was caused and casualties were few. parations for the forthcoming Allied invasion. further compounded by an efficient radio countermeasures organisation. 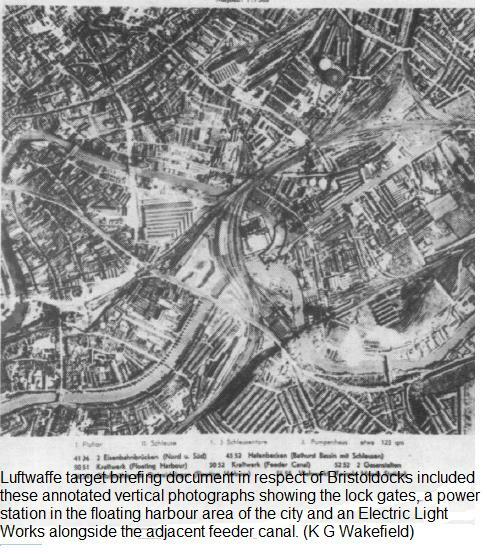 Knickebein 10 was to be aligned over Bristol. confusion there was that night was all on the German side, as former Unteroffizier Matthias Josephs recalls. had been forced to take more evasive action, decided to go ahead and bomb the flares in a north-south run. fighter was known to its controlling GCI Station at Exminster, had been on patrol since 2255 hours, but with nume. detained initially. And there, in happier circumstances, he again met his 'warder' former Police Constable 'Ginger' Harris. Josephs, who well remembers the events of that night, recalled: *I was due to go on leave after this flight, but instead I found myself a prisoner. We were all treated very fairly, but I must admit that when I first saw PC Harris he frightened me - he is a big man!" last operational flight was his sixth over England, the previous five having been attacks on London. Second Class had been awarded the Bronze Clasp. 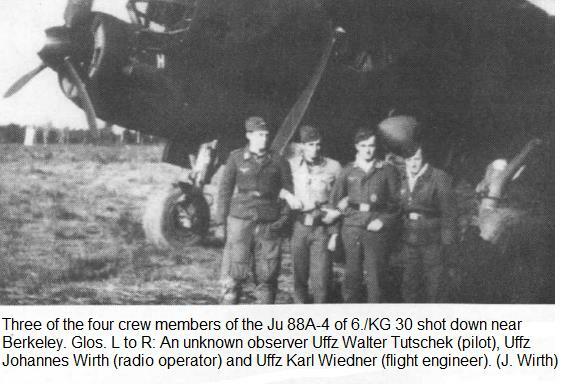 Chalon (observer), Unteroffizier Robert Belz (radio operator) and Obergefreiter Alfred Malezki (gunner). limitations of their aircraft they scored two victories. The first, which crashed at Clapton. near Berkeley. The German pilot, Unteroffizier Walter Tutschek. one was 21 years old, another was 22, the oldest was 23 and the fourth, the pilot and aircraft commander, was 20.